MEDINA, Ohio--(BUSINESS WIRE)--Dec. 17, 2018-- RPM International Inc. (NYSE: RPM) today announced that its Rust-Oleum group has acquired Siamons International Inc., provider of the Concrobium brand of non-toxic specialty mold cleaners. Based in Ontario, Canada, Siamons has annual net sales of approximately $20 million. Terms of the transaction, which is expected to be accretive to earnings within one year, were not disclosed. 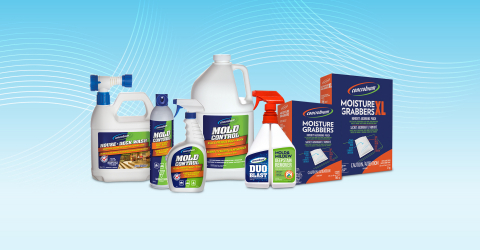 The Concrobium brand offers a wide range of non-toxic specialty mold cleaning solutions that can be used on both porous and non-porous surfaces, including wood, fabrics and drywall. It is sold primarily in big-box retailers, such as The Home Depot, Lowe’s and Menards. Among its leading products is Mold Control, the only solution that eliminates mold, prevents its future growth and cleans mold stains in one step, without the use of bleach, ammonia or VOCs. As part of this acquisition, Rust-Oleum will strengthen Concrobium’s retail presence, introduce it to new market categories, and leverage its customer base to accelerate distribution of other specialty cleaning brands in Canada. In addition, Rust-Oleum will expand Concrobium on an international scale.